The PEN/Jean Stein Grant for Literary Oral History recognizes a literary work of nonfiction that uses oral history to illuminate an event, individual, place, or movement. The winner will receive a $10,000 grant to help maintain or complete his or her ongoing project and will be honored at the annual PEN Literary Awards Ceremony in New York City. 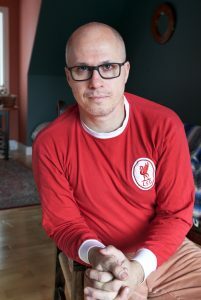 The stories Aleksandar Hemon promises to tell in How Did You Get Here? :Tales of Displacement are not only timely, but urgent. As much of the world’s political id turns xenophobic, he proposes to give us a humanized history of immigrants fleeing genocide and war in Bosnia. He tracks individual Bosnians: a Tokyo-based anarchist, a Florida realtor who supported Donald Trump, the founder of a migrants rights organization in London, a popular Sarajevo DJ who never learned the names of Atlanta’s streets when resettled there, a man in Ithaca who escaped by walking fifty miles through a warzone. Hemon believes “narration puts lives back together.” Story is the march under siege, the means to get from the previous life to this one with dignity and idiosyncrasy intact. Hemon’s lyricism and gift for seeing the shape of a tale in its symbolic markers animates this history of Bosnian displaced people, gathered from their own words. Gaiutra Bahadur is the author of the Orwell Prize-shortlisted Coolie Woman, a narrative history. Her essays, reviews and reporting have appeared in Lapham’s Quarterly, The Guardian, The New York Times Book Review, VQR, The Nation, Dissent, Ms., and Foreign Policy. 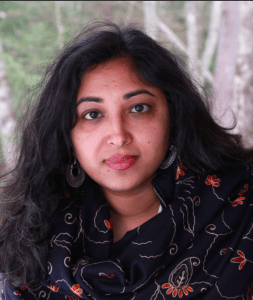 The Commonwealth Writers Foundation recently published her fiction debut, the story “The Stained Veil.” She has received fellowships from the MacDowell Colony, Harvard’s Nieman Foundation, the NJ Council on the Arts and Harvard’s DuBois Institute, where she’s currently in residence. Dan Kennedy is the host of The Moth Podcast, as well as a frequent host and performer at Moth live events. His stories have appeared in GQ Magazine, on the Peabody Award-winning The Moth Radio Hour, in McSweeney’s, and in numerous print anthologies. He is the author of three books, Loser Goes First (Random House/Crown 2003), Rock On (Algonquin 2008, a Times of London Book of The Year) and American Spirit (Houghton Mifflin/Little-A 2013, Publishers Weekly starred review). He lives in downtown New York.